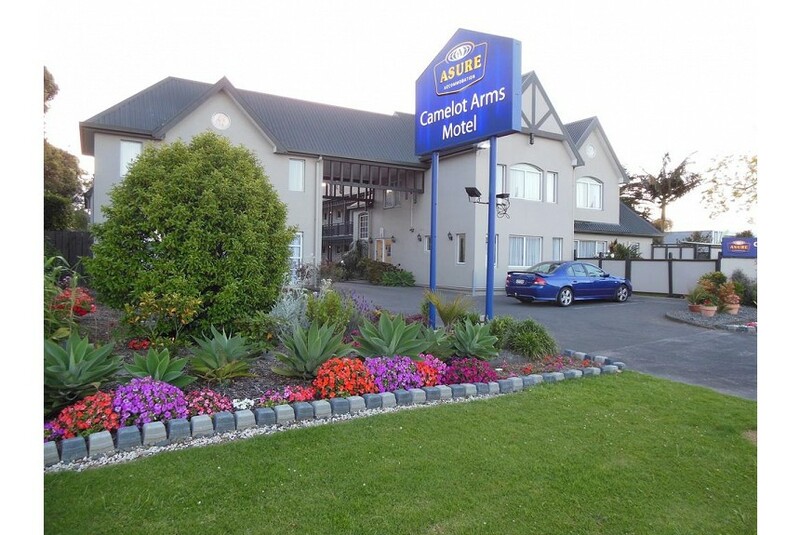 Just a 10-minute drive from Auckland’s International Airport, in the heart of Manukau City, ASURE Camelot Arms Motor Lodge offers spacious, self-catering accommodation with free WiFi and a 40-inch flat-screen TV with more than 50 satellite channels. This 4-star property is 5 minutes' drive from Manukau Westfield Shopping Centre and the Grange Golf Club. Auckland Airport is 15 minutes' drive away. Each of the large, contemporary rooms and apartments at Camelot Arms are comfortably furnished. Guests can relax and enjoy the fresh air from their own private balcony. The motel's lush, green gardens are furnished with barbecue facilities for guests to use during their stay. ASURE Camelot Arms Motor Lodge is also happy to provide packed lunches for guests to take with them while exploring the surroundings.